Did I tell you why we changed from year around to traditional calender homeschooling? I was burnt out. Burnt out, dead tired, overwhelmed, feeling like quitting. I didn’t want to quit though. I wanted to feel better. I wanted to be better. But- I needed time to get back to being myself, which is why when the opportunity to review Time4Learning‘s complete online curriculum came up with the Schoolhouse Review Crew, I knew I just had to be on it. 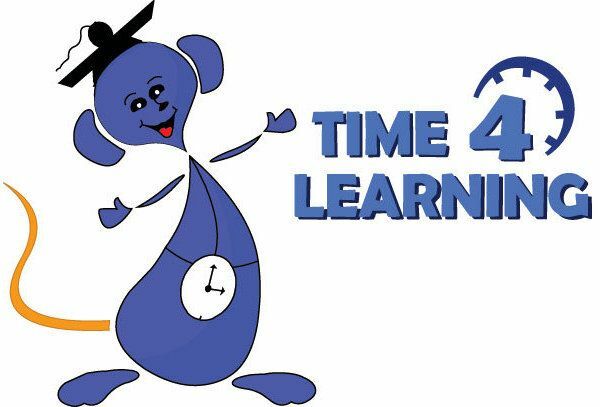 Time4Learning is a online curriculum which includes a full year of material for grades K-12. When you purchase a subscription, you have access to the full grade level, as well as one level higher and lower for each student. You can set up the program to mix levels, for example, a third grade student can be placed in fourth grade language arts, and second grade math if you chose to do so. Some of the lessons on Time4Learning are animated, and others are more of an eBook format. All lessons include interactive quizzes and games to keep your child interested in the program. The parent has a lot of control over the program, setting time limits for lessons, for “playground” time and which subjects the child has access to. In addition to these controls, the parent has access to the automated grade book, printable grades, attendance records, reading lists, supply lists, and more. 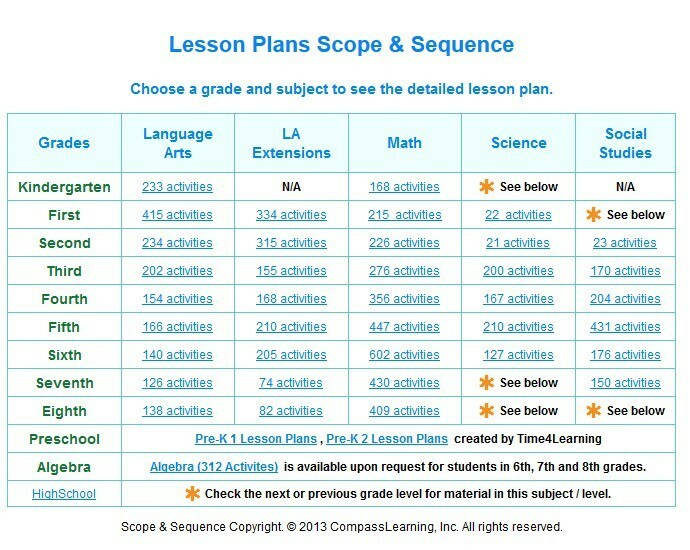 This scope and sequence is available in the Parent Portal- you can see that in lower grades, there is not much social science and math, because these kids have a large amount of phonics work to do (see the larger number of language arts extensions?). If you were able to click on those hyperlinks, you would be taken to a page that lists all the topics and activities for that subject and grade level. This comes in very handy if you are mixing and matching subjects like I did (more on that in the “our thoughts” section). When Bug signs in to use Time4Learning, he has freedom to choose any lesson he wants. The portal has all lessons accessible at the start of the year. I have told Bug to focus on Language Arts and Math, and he is to do a lesson from each of those subjects before he is supposed to do anything else. 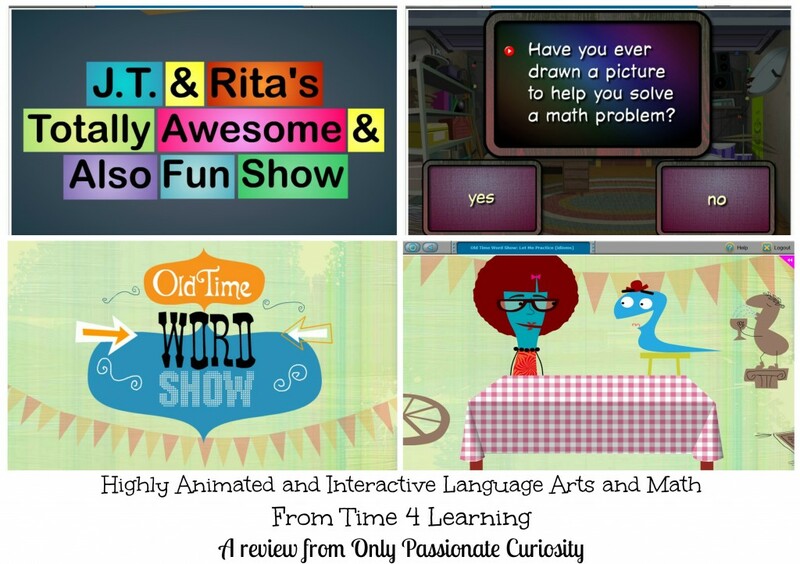 The language arts and math sections of Time4Learning are fully animated and interactive. This means the lessons are all presented in fun ways, with cute videos, interactive game shows, and manipulative math games to help your child “get it” in a fun way.Bug LOVES this lessons, especially the Old Time Word Show vocabulary lessons. The videos are full of humor and keep him interested because they stop to ask questions of Bug. Sometimes, the questions are click buttons, and other times, he has to type his answers. The science and social studies lessons at the third grade level follow a different format. Instead of being animated, they are all presented in text form. 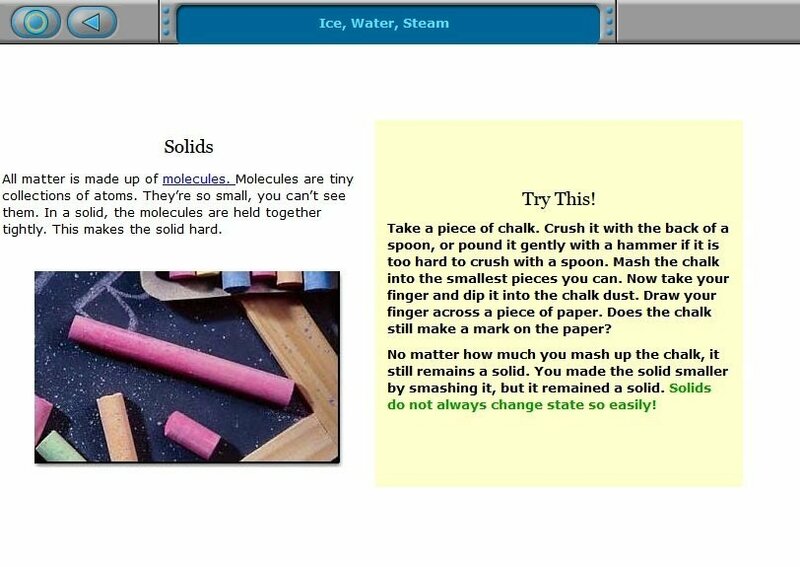 As you see in the screen shot above, the science lessons contain hands on elements, which the child completes outside of the time they spend on the computer. You can print a supply list for the science program on the parent portal. Bug had a harder time focusing on these lessons independently because they were not as interactive, and he fatigued quickly when trying to read from the computer. 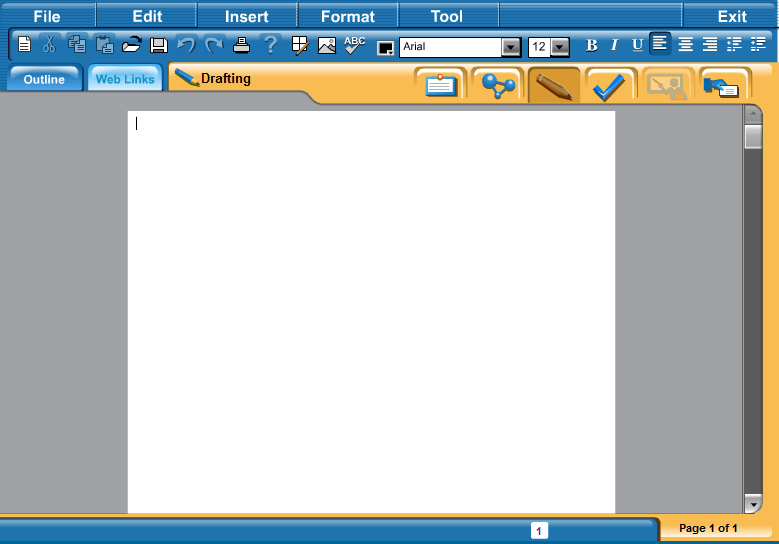 This is the “Odyssey Writer”- a word processing program within Time4Learning. I loved that Bug didn’t need to leave the program to use a word processor, and he liked using this for writing stories or notes. There is also a “playground” with games for the kids to play- which I actually set so Bug couldn’t go there. You can program it from the parent side so the child has to work a certain amount of time to access the playground, and for the playground to time out. I set it so Bug had to work an hour, which is the amount of time each day I gave him on the computer. I may be a meanie, but I don’t want school time spent playing computer games, and I loved that Time4Learning made it easy for me to keep him off the “playground” and in class. The parent administration panel provides access to lesson plans (second grade science shown above) as well as printable reading lists, science supply lists, printable worksheets (not available for every lesson) and printable answer keys. From this panel, you can also change your child’s grade level, mix levels (for instance, third grade math, and 4th grade language arts), see your child’s records and grades, add more students, and visit the parent forums. 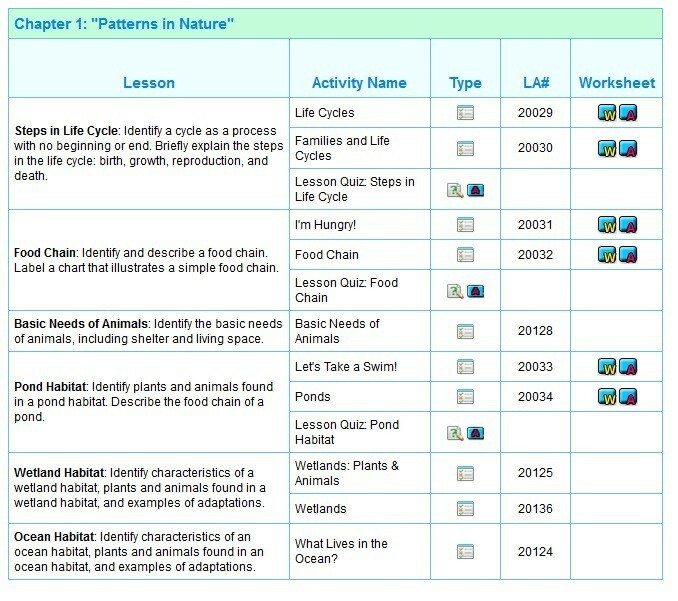 You can also use the lesson planner to help you pace the lessons. This is a screen shot of Bug’s records. It shows the lessons he did, how long he spent on them, and the grades he received when applicable. 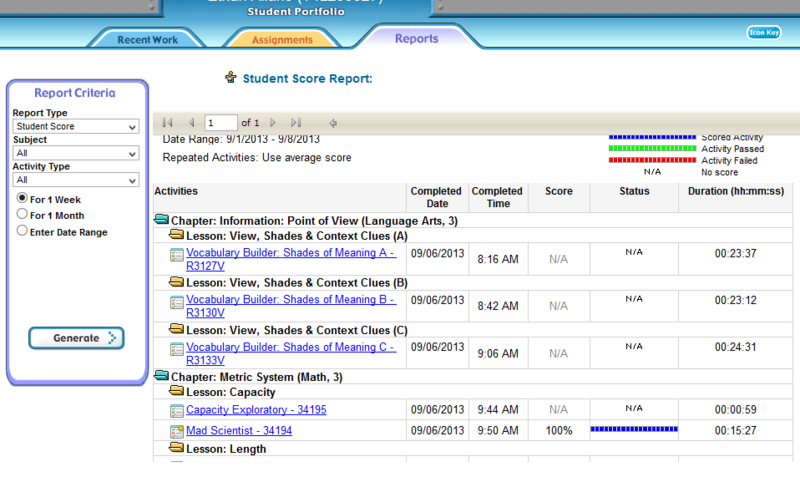 From the student records page, you can print grades and attendance records. The hyperlinks shown above lead to the lessons, so if your child struggled, you can see exactly what the lesson was to help you go over it with your child. I love that this is something I can send Bug off to do independently- so he can be working while I am focusing on teaching his brother, or doing the dishes. This summer while I was feeling burnt out, he was able to continue learning while I took a much needed break to re-group. While he did Time4Learning, I planned lessons, cleaned and organized, and got ready for a new school year. It was the perfect solution to feeling so burnt out, and I am so glad to have had this tool at my side. It would have been very easy to have let him fall behind while I was feeling overwhelmed, but instead he had a chance to grow, while I had a chance to take care of myself. For the student lessons, at first, I was a little disappointed that they were not all animated. At the third grade level, all the math and language arts lessons are highly animated and interactive, but there are only a few animated science lessons, and no animated social science lessons. I did find that the second grade level has animated science (although there are only 21 science activities) so I was able to set Bug’s science back a year for now. This will allow him to work on the animated lessons for a couple months while I work him up to reading more on the computer independently. The social science at this point he does with me close, so I can help him stay focused on the reading. I do feel that the combination of self-lead learning and animated learning is helping him learn a better work ethic, and is strengthening his ability to focus, instead of relying on animation for everything. At the same time, I would love to see Time4Learning add in animated and interactive games and quizzes to the social science and science to build interest, along with the reading. I really liked many things about the parent administration account- from that page, you can view the assignments your child has completed, as well as the grade for that assignment. I liked that when Bug struggled with something, I was able to open that unit right there from the parent side. For example, if he had an issue with the parts of speech lesson, I can view it in my account and see what he was struggling with without having to log into his account. I was also able to see the complete list of lessons in a printable format, as well as use a schedule tool to pace the program, which made planning easy. The only thing I wish was different about the parent administration page would be the ability to set a custom lesson path for Bug. I wanted to pick and choose which lessons I wanted him to do, tell the program to put him on that path, and then have the program direct him in the order I specified. This wasn’t possible- instead, I had to manually pick the lesson I wanted him to do each day when I signed him in. More parental control for the order of lessons, and the access of lessons would be a great improvement to an already wonderful program. Time4Learning gets my highest recommendation. I have already budgeted in Mr. Man to use the program, and fully plan to continue paying for this program long after this review is complete. This program is complete, interactive (for language arts and math), and is completely appropriate to be used as a full program for a third grader. I have not used the other grade levels, but am confident that they would also be wonderful. In addition to the amazing online content, with your subscription, you get access to a parent administration account which has a schedule tool, printable supply and reading lists, and more. The program itself is animated, with writing assignments, reading assignments, quizzes, games, and so much more. The lessons are never boring, and contain a huge amount of information in a easy to understand (and enjoyable!) format. For Homeschool moms experiencing burn out, this is a wonderful choice. Really, it’s a wonderful choice for anyone looking for a computer based curriculum. Time4Learning is 19.95 per student per month, and 14.95 for a second student. Thank you for such a great review! You answered my questions before I could ask them!